The Wilderness of Manitoba has been invited to perform at this year’s SXSW in Austin, Texas. The band played Austin on the Rasputina tour last year, but this will be their first time at SXSW. The band’s official showcase is on Thursday, March 15th at the Velveeta Room and they will be onstage at 9:00 PM. 2011 Best Daytrotter Song of the Year! Earlier this year The Wilderness of Manitoba swung by Daytrotter for an amazing live session. 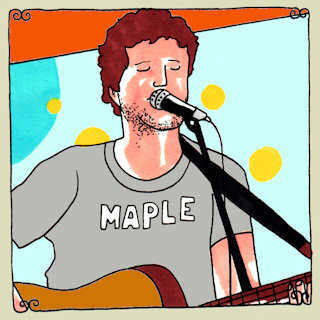 Head on over to Daytrotter and vote for “Orono Park” or “Summer Fires” in Daytrotter’s Best Songs of 2011 Poll! 2011 Best Singer/Songwriter Albums on iTunes! iTunes included The Wilderness of Manitoba in their 2011 Best Singer/Songwriter Albums! This means that Summer Fires and their album When You Left the Fire are both on sale on iTunes until Jan 10, 2012! Head on over and download yours today! In the spirit of the holidays, The Wilderness of Manitoba has released two brand new recordings “O Come, O Come, Emmanuel” and “We Three Kings.” Take a listen and download them here! Check out The Wilderness of Manitoba’s recent Daytrotter session and download five new live tracks here! Be sure to catch the band live on their upcoming tour with Rasputina! “Orono Park” is featured on the new Glamour Kills mixtape! You can download the mixtape with your purchase of any specially tagged Glamour Kills clothing at your local Zumiez. Redeem it here with your unique pin code. The Wilderness of Manitoba is heading to Germany and the UK later this month to support the release of the new “Orono Park” EP! The EP will be available digitally in Germany starting 9/16 and in the UK on 9/26! We’re currently featured on MySpoonful.com, a great site to find new music. Visit our page here and “like” it to vote for us in the band of the month contest. While there you can also download “Orono Park”. Thanks for all of your support!